The datasource needs to be configured to communicate with your Sensu API. 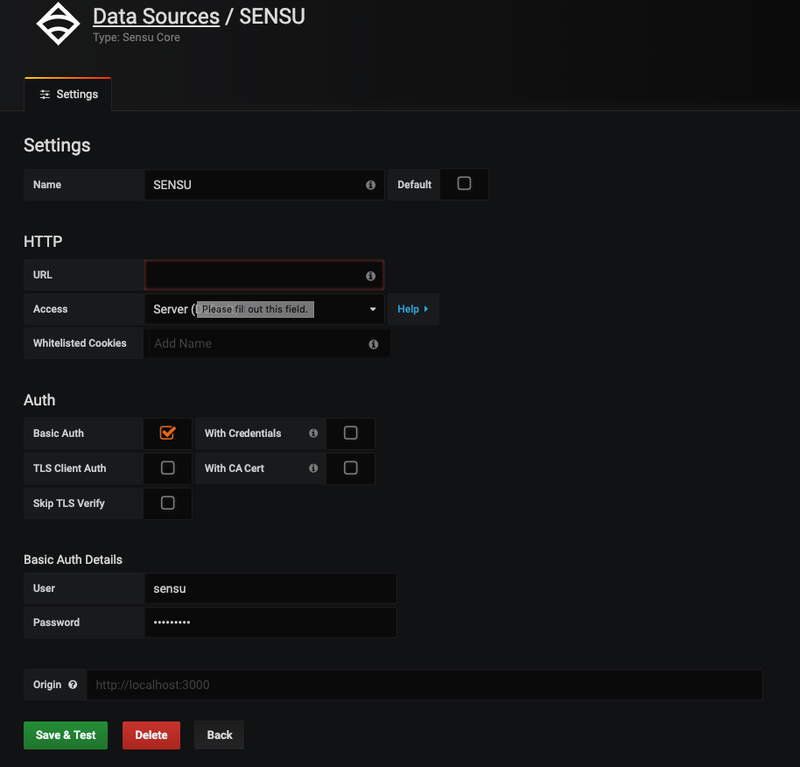 Set the Url to your Sensu API, typically on port 4567. NOTE: You can pre-provision the datasource before enabling the app. Once the app is enabled, the datasource will become available. Once a datasource is created, you can see select the name of the instance, and see details about the API. Basic Auth and Basic Auth over SSL have been tested. 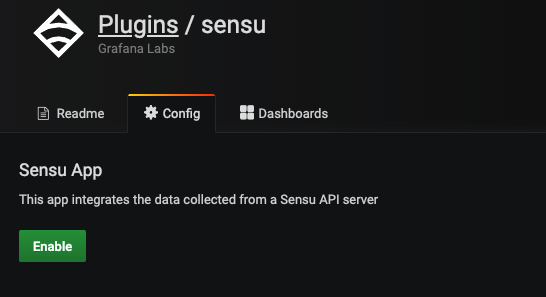 A dashboard is included to give you a quick view of your Sensu environment. The datasource interacts with your Sensu API, and is intended to provide "read-only" actions through the query interface. Additional (write) functionality will be provided through custom panels. The query builder provides hints for each type, with two optional dimensions "Client Name" and "Check Name". Aggregates: Returns aggregate check states, with 7 different "modes"
Aggregates are best used with a Table or SingleStat panel. Using the mode "List", select +Dimension and enter an aggregate name (the input field will provide hints). Once an aggregate is selected, use the Filter option to narrow the results. This source type is best used with a Table Panel. When used in a table panel the default results in a list of aggregate names. To get more detail for an aggregate, add a dimension with name of an aggregate, then select mode "Clients". The table will now return a row per client showing all of the checks included in the aggregate. This source type has two modes, list and count, and can be used with dimensions plus filters. This source type returns the list of clients in json format, best used by table panels. This source type returns the details of each check for each client. Returns events as a list with the option to filter out silenced events. 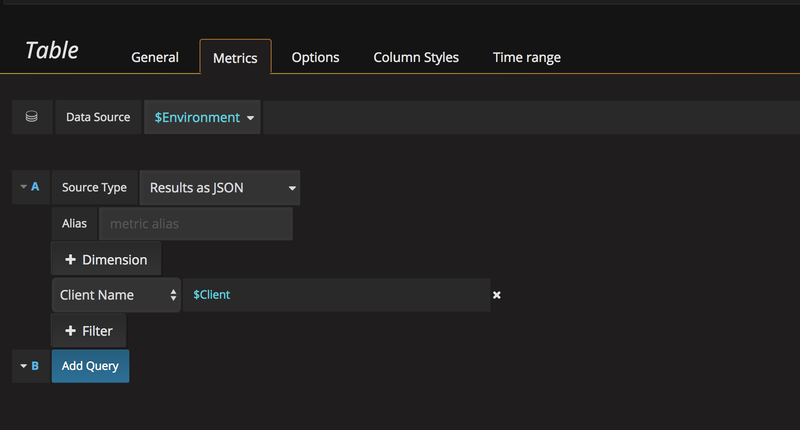 Returns events in JSON format with the option to filter out silenced events. This type is best used with Table panels. This returns totals for events depending on their state. This returns json-formatted totals for events depending on their state. Some query options will include dimensions and/or filters depending on which is selected. 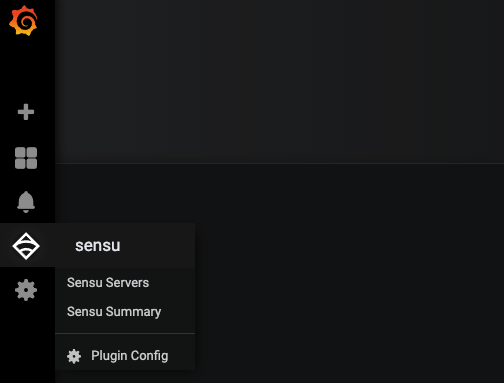 More info about Sensu here. See the Contributing Guide here. Please submit any issues with the app on Github.